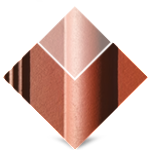 Why should you choose Novatop roof tiles? In Romania, the climate is becoming more and more changeable and hostile. Basically, you need a roof which won’t be easily blown by the wind. So weight matters. Concrete tiles are produced from a mixture of quartz sand, cement, and iron oxide based dyes. It is easily assembled, with no financial trouble, requiring low maintenance costs. 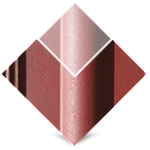 You can choose the tiles from a range of nine colors: wine red, chocolate brown, copper brown, leaf green, anthracite grey, coral red, oxide red, bottle green, signal black. 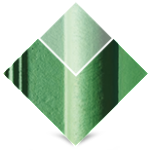 We offer great quality metal tiles. We have a large variety of pastel and intense colors, from which you can choose the one that suits your construction. The advantage is that the tile is extremely light. By being light, the covering does not overburden the building and it does not affect its structure. Choosing this type of tile allows your roof to breathe. Thus, it prevents excessive humidity and mold. 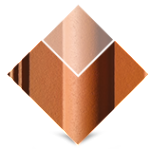 The ventilation tile is a common tile which has a special ventilation element. This allows the air to circulate between the attic and the exterior of the house, thereby adjusting the temperature during hot summer months. 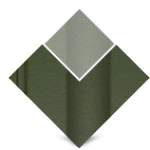 The necessary of ventilation tiles is determined according to to the length of the timbers and the angle of roof inclination. Ridge tiles are extremely durable and they fit any other texture like natural stone, cement, ceramic tiles, mosaic, and more. It has a conical shape and it requires superimposed mounting, against the blowing direction of the wind. The fixing is made with a special clip. This type of tile offers an aesthetic and functional closure of the ridge. The exceptional quality and the brightness are just two of the characteristics of this type of tile. Also, the visual effect is remarkable. The verge tiles are used to close the side fascia of the roof and they are obligatorily fixed with specific elements. This type of tile is mounted remotely at 1-2 cm between the fascia board or timbers. 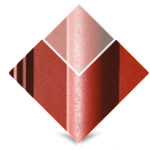 We produce roof ridge tiles which tightly close the corners and the angles of the wrap. 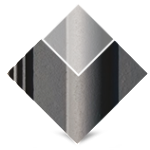 The following elements are needed for installation: expandable tape, bituminous aluminium tape, or ridge sponges. The ridge is an accessory of the roof, it has various thicknesses, colors, and sizes. Protection against water and an aesthetic merge. 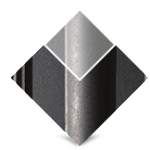 The apex assures these two aspects and it is used to close the meeting point of the inclined ridge tiles and the horizontal ones. In a horizontal projection, the angle between the horizontal ridge tile and the inclined one has to be 135º. It can be used at other angles but proper closure and overlap must be ensured. We have been satisfying the highest demands of our clients. We have a substantial portfolio proving that our work is appreciated. We have all the necessary facilities and equipment to conduct our business in optimum parameters and provide the best solutions. The last step of roof mounting is the assembling of the tiles and the roof accessories. It is extremely important to follow the project carefully and to obey the producer’s instructions and recommendations. Your roof will need regular maintenance. Regardless of the type of material the roof is manufactured, its condition should be checked at least twice a year. Maintenance costs are reduced, thus we recommend you to perform the necessary work in time before it gets worse. Postponing the decision to intervene may subsequently lead to greater damage, and thereby to higher costs.